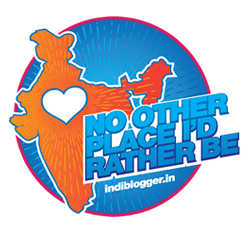 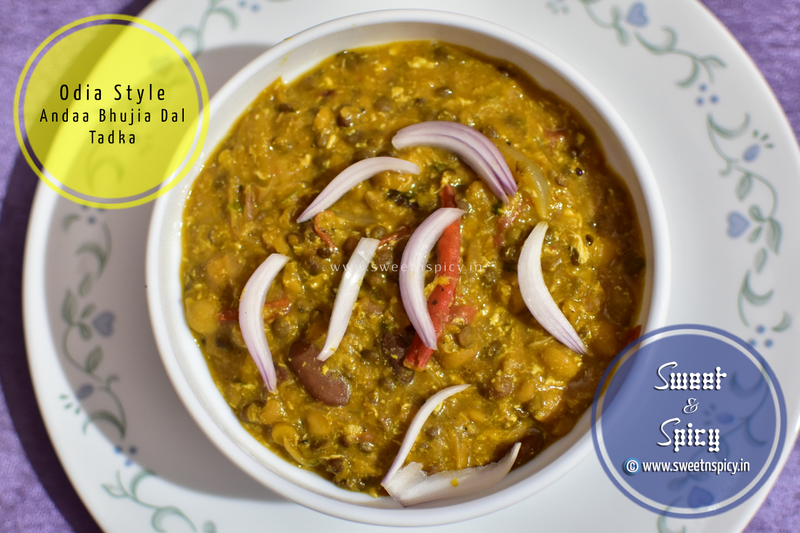 One of the most popular dishes ordered in dhabas and restaurants across India, especially in North India, Dal tadka when cooked the Odia way is vastly different from the Dal Tadka made elsewhere, in that while others primarily use channa dal (split chickpeas) to prepare Dal Tadka, the Odia dhabas and restaurants use a combination of pulses (of varying proportions) like Channa dal, Kabuli channa, Rajma, Lobia, Masoor dal and sometimes urad dal too. 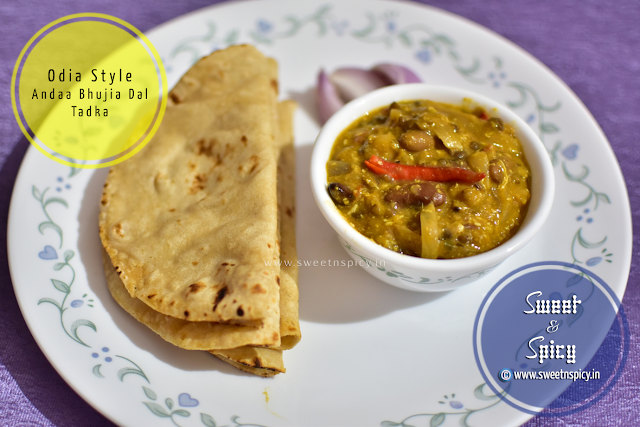 Therefore Odia style Tadka Dal tastes different from the one prepared elsewhere. 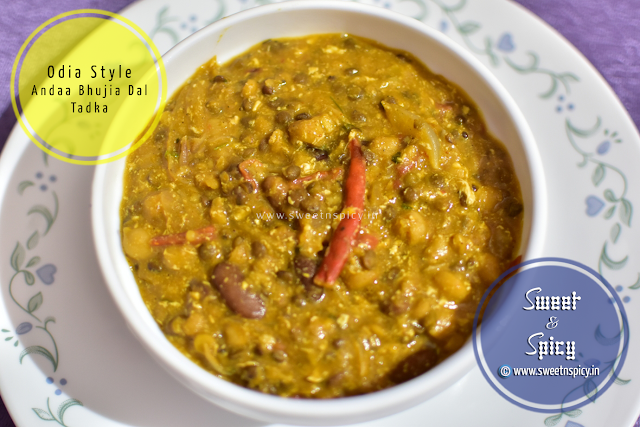 When we add anda bhujia (scrambled eggs) to the Tadka Dali, it imparts a terrific finish both in terms of taste and flavour to the tadka dal.